Let’s have a moment of complete and total honesty. Pickup trucks are awesome. They are fun to ride in, thrilling to drive, and more practical than any other vehicle on the road. As long as we are being completely honest, we must confess that they are also one of the more expensive vehicles to own. Rather than completely suppress your dream of pickup ownership due to budgetary restrictions, consider for a moment the possibility of purchasing one of the many used trucks for sale at DePaula Chevrolet. Here at DePaula Chevrolet, we offer an extensive selection of quality used trucks for sale, at prices you won’t believe. While other truck owners are spending thousands more for a vehicle straight off the assembly line, you could be driving a pickup with more features, for less money. A used truck from DePaula Chevrolet can be your ticket to owning an iconic American pickup that is sure to inspire envy in everyone who sees you driving it. 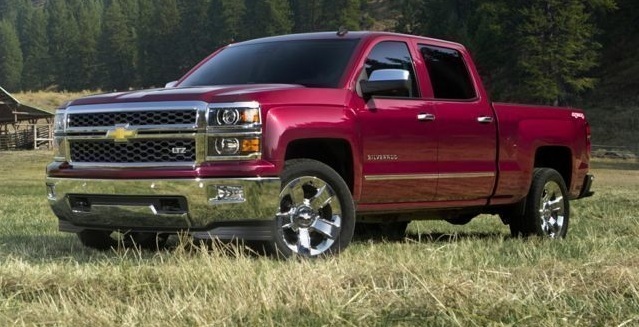 The bowtie brand is famous for manufacturing high quality pickup trucks that are as reliable as they are powerful. Whether you are interested in a midsize version like the Chevy Colorado, or a full-size pickup like the Chevrolet Silverado, DePaula Chevrolet has a ton of great used options for you to choose from. Don’t spend another day wishing away your dreams of truck ownership simply because you can’t afford it. When you come down to DePaula Chevrolet, you will see firsthand how affordable and easy it is to own the iconic vehicle you have always hoped to see parked in your driveway. Chevrolet has been manufacturing pickups since 1930, so it is a safe assumption that the brand has this niche of the automotive marketplace well covered. 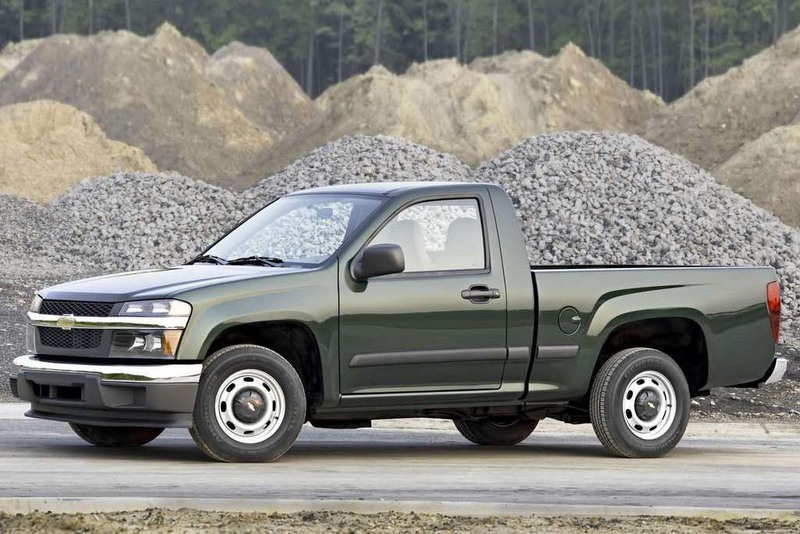 Chevrolet unveiled the all-new Silverado for the 1999 model year, and the full-size pickup has been a go-to option for pickup truck buyers ever since. With nearly twenty years of production under its belt, the bowtie brand has been perfecting the Silverado into the reliable pickup that American drivers have come to trust. Ranging in performance and power, the Chevy Silverado is available as a light-duty 1500, a medium-duty 2500, or a heavy-duty 3500 model. Whether you need a pickup that can handle light loads and average towing, or a powerful workhorse that is capable of tackling whatever job you require of it, the Chevrolet Silverado lineup has you covered. A brand new Silverado 1500 starts out around $27,000, but for drivers who need more amenities and performance features, that mid-level price is quickly propelled by thousands of dollars. Rather than be defeated, or settle for a truck that won’t actually fulfill your specific requirements, consider how much money you can save with a used truck from DePaula Chevrolet. Not only will you be able to purchase the most capable pickup truck in America, you will have the opportunity to do so for much less money than you would otherwise. Our quality pre-owned Silverado pickups regularly sell for thousands of dollars below what their original owners paid, allowing you to take advantage of their high-end taste, at a much lower price point. If you aren’t in need of a full size pickup, consider purchasing a used Chevy Colorado. The compact pickup truck may be little, but since its reappearance on the American automotive marketplace in 2012, it has been making a big impact. The small, yet mighty Chevy Colorado is redefining the pickup truck segment, and has caught the attention of industry insiders in a major way. Earning the coveted title of Truck of the Year by Motor Trend magazine two years in a row, the Chevrolet Colorado is much more than a viable option, it is an exceptional one. Here at DePaula Chevrolet, we have a great selection of pre-owned Colorado trucks for sale, all at incredible prices. Because this pickup hasn’t been available for as long as the Silverado has been on the market, every used Colorado we sell is equipped with the latest in-vehicle technology and features you expect from a Chevrolet. Motor Trend magazine’s top pick for the past two years has a starting MSRP of just above $20,000, but used versions are available at DePaula Chevrolet for much less. Instead of settling for a bare-bones pickup truck simply because it is what you are able to afford new, consider coming down to DePaula Chevrolet and discovering all that you can get with a reliable used Chevy Colorado. Located here in Albany, DePaula Chevrolet is proud to be a part of this thriving community in New York state. We offer incredible deals on both new and used Chevrolet vehicles, and as our past customers can attest, our customer service can’t be beat. With years of service to this community, DePaula Chevrolet is the name that Albany residents have come to trust for all of their automotive needs. With up-front, transparent pricing, a customer-focused approach to sales, availability around the clock, and an exclusive VIP program – DePaula Chevrolet is the only name you need to remember when it comes time to find your next new or used car, truck, or SUV. Our state of the art service center is equipped with industry-best technicians, all certified by General Motors. Their knowledge and expertise far surpasses that of other area garages, and when you come to DePaula to have your vehicle serviced, you will be able to take advantage of exclusive benefits like a free shuttle service, complimentary Wi-Fi, and an incredible waiting area you have to see to believe. Outfitted with comfortable chairs, multiple flat-screen TVs, and semi-private work stations, it doesn’t matter whether you prefer to relax while you wait, or continue with your busy work day. You are even welcome to bring the kids along, so that they can enjoy our well-equipped children’s area with great toys, books, and puzzles to occupy their growing minds. The service center here at DePaula Chevrolet has ample opportunity for you to accomplish whatever it is you need to do, without missing a beat. Once our technicians are finished servicing your vehicle, we will give it a thorough exterior wash, completely free of charge. Not only will your car be restored to proper working order, it will be shined up, and ready to tackle the rest of your day. This is just a small way that we thank you for trusting DePaula Chevrolet with all of your vehicle needs, both big and small. If you are searching for a great used Chevrolet truck, a brand new bowtie vehicle, or simply need an oil change, we hope that you give the DePaula Chevrolet team a chance to help. We are eager to meet you, discuss your specific vehicle requirements, and work with you to find real solutions for your car buying needs. Come down to 785 Central Avenue here in Albany, NY today, and discover what so many customers before you have realized. The best car buying experience of your life is not only within reach, it is just down the road. Don’t wait another day, begin your next new or used car buying journey with DePaula Chevrolet, today.